At first glance, 2018 might not seem like a major election year in North America. Prime Minister Justin Trudeau faces his first electoral challenge in 2019, and Americans will decide whether or not to give U.S. President Donald Trump a second term in 2020. But 2018 is filled with several major political races that will have serious ramifications both domestically and abroad. Mexico will elect a new president, dropping the winning candidate into the middle of NAFTA uncertainty. Canada’s most populous city and province will both hold elections next year. And, for the first time in 59 years, Cuba will be led by someone whose last name isn’t Castro. With that in mind, here are the top 10 elections to watch for next year. 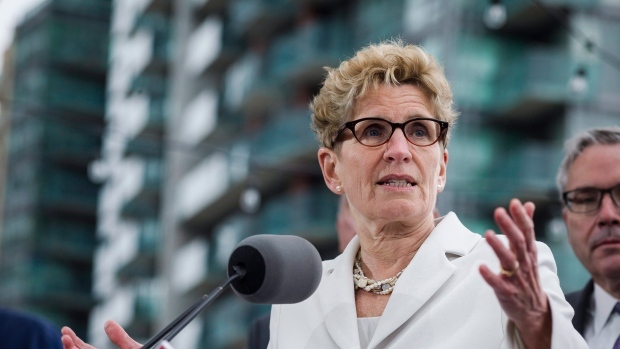 Canada’s biggest provincial election will be held next summer, and Liberal Premier Kathleen Wynne is expected to have a tight race for another term. The Liberals have held the province’s top office since 2003, but the 2018 election will be markedly different. For one, 15 more seats are up for grabs, with many added to growing municipalities such as Hamilton, Kitchener-Waterloo and the Greater Toronto Area. Wynne and NDP Leader Andrea Horwath have both run provincially in the past, but it will be the first time that PC Leader Patrick Brown has his name on the ballot, though he held a seat federally between 2006 and 2015. Polling throughout 2017 consistently predicted a tight race, but it’s anyone’s guess how public perceptions could shift by June. In the last election, held in 2014, Wynne won a majority mandate. If Wynne holds onto that majority, it could put an end to rumblings of voter discontent with the long-governing Liberals. However, if the Conservatives and NDP chip away at enough Liberal seats, it could spell an end to the Liberals’ 15-year term. The million-dollar question: do Ontarians want change? Toronto’s next municipal election is shaping up to look a lot like the last one, with an expected rematch between Mayor John Tory and ex-councillor Doug Ford. Last time, Tory won with 40.2 per cent of the popular vote over Ford’s 33.7 per cent. But historically, Toronto has had three or more front-runners in the race. In 2014, former NDP MP Olivia Chow offered a choice for left-wing voters, and earned 23 per cent of votes. Despite plenty of speculation, no one else has officially thrown their hat into the race – but they have until next spring to do so. Candidates can’t officially enter the race until May 1, 2018, when nominations officially open. Affordable housing, public transit and property taxes are bound to be hot topics during the summer campaign season. Since official campaigning doesn’t start until next spring, it’s difficult to predict with much accuracy how each candidate would change the city. If Tory wins, priorities such as downtown traffic congestion and suburban transit will likely remain at the forefront of conversation. If Ford wins, he has said he would focus on providing greater “access” to the mayor’s office and returning taxpayers’ phone calls – much like his late brother, former mayor Rob Ford. Ford has also been critical of high taxes in the city. At the moment, Quebec’s Liberals hold a comfortable majority in the province’s National Assembly, with 68 MNAs over the Parti Québécois’ 28, 20 from Coalition Avenir Québec, five independents and three from Québec solidaire. Whether or not Phillipe Couillard can hold that majority depends on how voters react to some of the Liberals’ latest policies, including the controversial face-veil ban that passed in October 2017. Health care, cultural policies and the future of the North American Free Trade Agreement are expected to be major election issues. New Brunswick has flip-flopped between the Progressive Conservatives and Liberals since 2006. In 2014, the Liberals, led by Premier Brian Gallant, won 27 seats in the province, with the PCs earning 21 and the Greens taking a single seat. Gallant’s government has already outlined its priorities for next year, including establishing a model for carbon pricing, freezing salaries for MLAs and reducing the small business income tax. His main challenger is expected to be the province’s PC leader Blaine Higgs, who won the party’s leadership race in 2016. Higgs’ political priorities include boosting inter-provincial business opportunities, supporting bilingualism and increasing transparency on New Brunswick’s economic performance. Next year will mark 10 years since Gregor Robertson, co-founder of juice company Happy Planet, was elected mayor of Vancouver. He swept the race in 2008 with 54 per cent of the vote, but that margin slipped a percentage point in 2011 and dropped to 45 per cent in 2014. As Vancouver’s meteoric real estate market continues to shatter records, affordable housing is expected to be a central issue in 2018 campaigning. How to deal with the ongoing opioid crisis, which has put a serious strain on first responders in the city, will also likely be a major issue. Robertson, now is his third term, has publicly pledged to run in 2018. Robertson’s campaign will likely on four areas he’s publicly prioritized: boosting public transit, making Vancouver “the greenest city in the world,” tackling homelessness, and addressing housing affordability. It’s unclear which of Robertson’s city council colleagues plan to enter the race. To date, no one else has committed to run. Could Robertson stride into his second decade in politics? That’s up to Vancouverites to decide. The same day Torontonians head to the polls, Ottawa will hold its own municipal election. Mayor Jim Watson won the overwhelming majority of votes – a whopping 76 per cent – in 2014. Previously, he won the mayoral leadership in 1997 and 2010, and also worked as an MPP for Ottawa-West-Nepean. The mayor has already publicly confirmed his plans to seek a fourth term, and early indications suggest it could be a cakewalk. A poll in January 2017 suggested that Watson holds a 79 per cent approval rating, making him Canada’s most popular big-city mayor. In an interview in March 2017, Watson predicted that election debate would revolve around redeveloping the LeBreton Flats, a 21-hectare plot of land west of the Parliament Buildings, completing the city’s Ottawa River Action Plan and the Stage 2 LRT project, which would expand public transit in the capital. With nominations opening in May, it’s still too early to say who could step up as Watson’s biggest challenger. But it’s safe to say they’ll likely face a tough race. In a single day next fall, nearly 500 new U.S. politicians will be elected at the federal and state levels. All 435 seats in the U.S. House of Representatives and 33 of the 100 spots in the U.S. Senate are up for grabs. Another 39 states will vote for governors. These elections will determine how the second half of U.S. President Trump’s presidency unfolds. If Republicans maintain their control of the House and the Senate, Trump is expected to face little resistance from the other branches of government. His job will be much tougher if Democrats pull off a win. The U.S. Senate is currently controlled by the Republican Party, which holds 52 seats over the Democrats 46 seats. (Two seats are held by Independents, Angus King of Maine and Bernie Sanders of Vermont, who typically vote with Democrats.) When Democratic Sen. Doug Jones of Alabama is officially sworn in, which is expected in early January, that razor-thin margin will narrow to 49–51. In theory, the Senate could flip in 2018 – but the Democrats face an uphill battle. Democrats have more to lose in the election, with 23 of the 33 seats up for grabs held by their party. Only eight seats in contention are held by Republicans, and two are held by independents. To make matters trickier for Democrats, several blue states up for grabs swung to U.S. President Donald Trump in 2016, including Missouri, Indiana and West Virginia. Republican states expected to be battlegrounds include Nevada and Arizona. In the House of Representatives, Republicans currently control 239 seats, while Democrats have 193 seats. (Three remain vacant.) Inside Elections, a nonpartisan pollster, suggested that dozens more Republican-held seats are in danger of being flipped than Democratic seats. Trump’s low approval rating – just 32 per cent in early December, according to the Pew Research Center – could also hamper Republicans’ prospects in both the House and Senate. Of course, there’s plenty of time for that figure to change before next November. If Democrats win a House or Senate majority, it would be a crippling blow to Trump’s presidency and make it enormously difficult for him to pass marquee legislation through Congress. Some analysts have gone so far to describe the Senate elections as a referendum on Trump. For Canadians, a power flip in the House or Senate could have a very real ripple effect. Whatever happens to NAFTA must pass through Congress, and Democrats could weaken Trump’s chances of quashing the deal. Trump’s “America First” approach to trade – a policy that has invoked fear within Canada’s dairy, softwood lumber and aerospace sectors – could also be compromised by Democratic senators eager to snuff Trump’s political promises. That would take some pressure off Canadian officials who have been working overtime to strengthen business ties with other countries amid uncertainty with the U.S. In a nutshell, a Democratic takeover would stall Trump’s presidency. The likelihood of such a takeover remains to be seen. Next year will mark the first time since Cuba’s 1959 revolution that a non-Castro holds the island nation’s highest office. President Raul Castro has said he will step down in 2018 as president to make way for a new leader. The country’s Vice-President Miguel Diaz-Canel, is considered the leading candidate to fill the job. Diaz-Canel has more than three decades experience in the Communist Party and has served as Cuba’s minister of higher education. But the changing of the guard doesn’t mean Castro is leaving politics. He is expected to stay on as the leader of the Community Party, the country’s sole political party. Mexico is guaranteed to have a new president in 2018. Current Mexican President Enrique Pena Nieto’s six-year term ends next year, and the country’s constitution bars him from seeking re-election. Former Mexico City Mayor Andrés Manuel López Obrador, or “Amlo,” leads the left-wing party National Regeneration Movement and has repeatedly topped popularity polls in Mexico. Amlo has been described as the anti-Trump, and he’s gained a strong following for his support of Indigenous Mexicans. If NAFTA negotiations are still underway next summer, analysts say it’s unlikely that Amlo will be keen to strike a deal with the U.S.
Other potential challengers include lawyer and politician Margarita Zavala, who is also the wife of former president Felipe Calderon, and Miguel Ángel Mancera, Mexico City's current mayor. For Canadians, Mexico’s next leader will be a key player in NAFTA talks – assuming the deal isn’t scrapped by July. As Canada’s fifth largest export destination, Mexico’s political future could have a direct effect on Canadian businesses. In the final months of 2017, Russian President Vladimir Putin remained coy about whether he planned to run in the country’s election in 2018. But, as expected, he announced in early December that he plans to seek re-election. Analysts already expect Putin will coast to victory, thanks a lack of viable challengers. Opposition leader Alexei Navalny, one of Putin’s strongest and most outspoken critics, remains a distant prospect in polling, and has repeatedly been thrown in jail under Putin’s rule. In Russian elections, a candidate must earn more than 50 per cent of the votes in the first round to become president. If no one reaches majority, a second round of voting is held three weeks later. Under Putin, relations between Canada and Russia have chilled. Canada’s top diplomat, Foreign Affairs Minister Chrystia Freeland, is a longtime critic of Putin and was banned from entering Russia before she joined the Liberal cabinet. In October, the House of Commons unanimously passed the so-called Magnitsky Act, which targeted gross human rights violators overseas. The law doesn’t specifically target Russia, but it’s based off similar U.S. legislation inspired by Sergei Magnitsky, a Russian whistleblower who died in a Moscow prison after he accused Russian officials of $230-million in tax fraud. If Putin is re-elected in 2018, it’s unlikely those tensions with Canada will go away.